Michaela looks on sternly during the latest episode of How To Get Away With Murder. 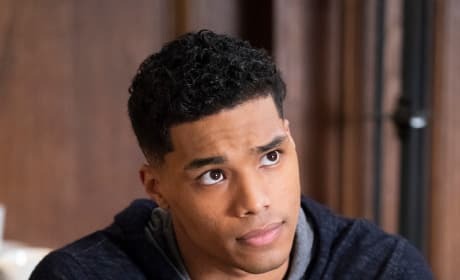 Gabriel finds himself in hot water on How To Get Away With Murder Season 5 Episode 12. 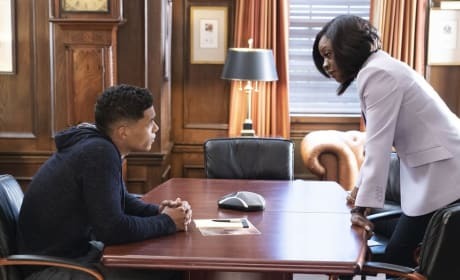 Gabriel has his day in court on How To Get Away With Murder Season 5 Episode 12. 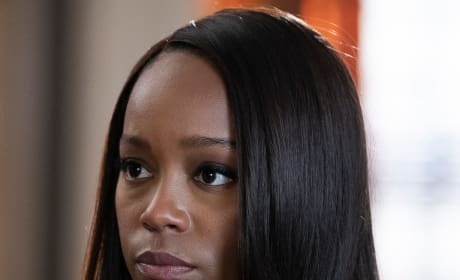 Laurel continues to search for answers on How To Get Away With Murder Season 5 Episode 12. What has the Keating students looking so upset? Find out on How To Get Away With Murder Season 5 Episode 12. 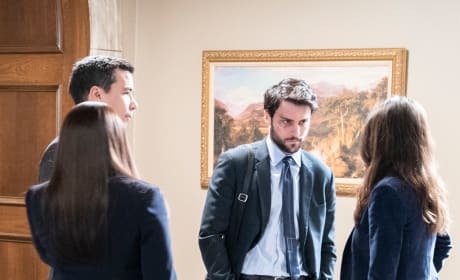 Michaela, Oliver, Connor and Laurel meet up at the courthouse on How To Get Away With Murder Season 5 Episode 12. 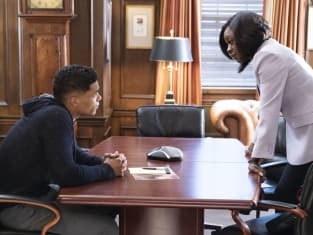 Annalise tries to keep Gabriel source on How to Get Away with Murder. "We Know Everything" is the 12th episode of the show's fifth season. I got played, damn straight. But so did you. So let him go, Bonnie. It's time, you hear me? Permalink: I got played, damn straight. But so did you. So let him go, Bonnie. It's time, you hear me? Everyone's worried about Bonnie losing it, but maybe that's you. Permalink: Everyone's worried about Bonnie losing it, but maybe that's you.